The Washington Nationals wrapped up Spring Training with a win on Sunday, but here are five things to keep an eye on this season. Can the starting rotation stay one of the best in baseball? Only one team (the Cleveland Indians) had more Wins Above Replacement (fWAR) from starting pitchers the last two years than the Nationals, and only the Chicago Cubs have a lower combined starting pitcher ERA than Washington during that time. 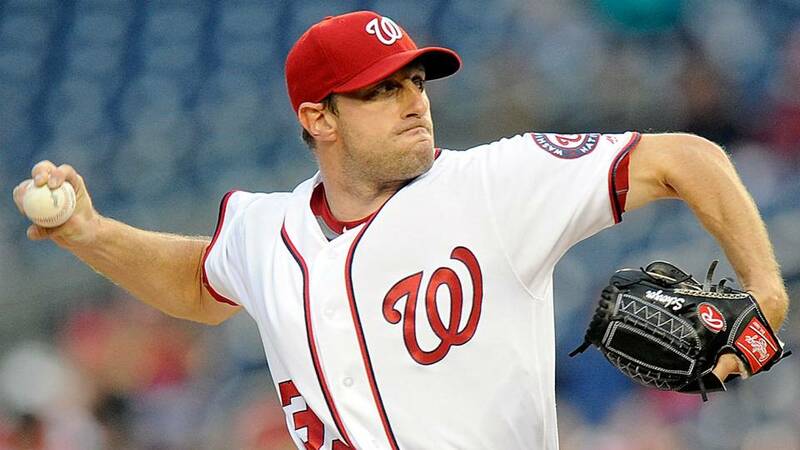 The top of the rotation is perhaps the best in baseball with perennial Cy Young candidates Max Scherzer and Stephen Strasburg, but the rest of the rotation has impressed as well. Gio Gonzalez bounced back last year with a 2.96 ERA, his best since 2012, while Tanner Roark looks to bounce back in 2018 after a career worst 4.67 ERA in 2017. Meanwhile, the hotly contested fifth starter spot belongs to A.J. Cole (career 4.52 ERA), at least while Jeremy Hellickson spends more time getting ready after a late arrival to camp. The Nationals starting rotation has been one of the best in baseball over the last two years, but it is projected as just the sixth best rotation by FanGraphs Depth Charts next year. 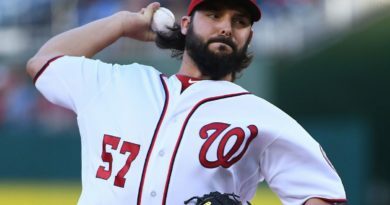 While Strasburg and Scherzer will likely still be lights out, Gonzalez is expected to take a step back and it remains to be seen if Roark can return to form. Still, there’s no doubt that both Strasburg and Scherzer will be in the mix for NL Cy Young this year and this rotation will still be very strong. Will Adam Eaton be the player he was before his ACL injury? There is no question that having Adam Eaton back will be a huge boost to the Nationals offense. Eaton is essentially replacing an aging Jayson Werth in left field and he was off to an incredible start in April last year before his injury. Eaton began the year hitting .297 with a .393 OBP and a .462 slugging percentage, the latter two being career highs. He was a spark plug at the top of a Nationals offense that scored 170 runs in April, nearly 30 more than the second place team. Washington had the top offense in April in just about every metric and Eaton played a huge part setting the table for the rest of the potent Nationals lineup. While Spring Training is just Spring Training, early indications are that Eaton is doing just fine. In 16 Grapefruit League at-bats, Eaton is slashing .313/.353/.500 with a home run, a walk, and a few nice plays in the outfield. He looks just fine out in left field and he has a good chance at becoming the spark at the top of the Nationals order again this year. Can the bullpen be as good as it was in the second half last year? The Nationals bullpen in the first half of the season was terrible. Nationals relievers ranked 25th in blown saves, 30th in ERA and 30th in fWAR, costing the team an entire win by themselves. It got so bad that it prompted then-manager Dusty Baker to say “We need some help. We need some help big time.” Nationals General Manager Mike Rizzo heeded the call, and in came the cavalry. 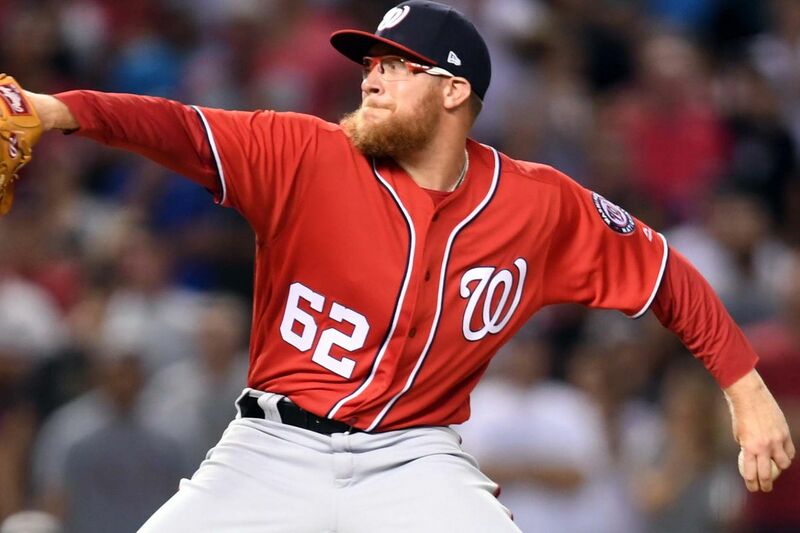 On July 16th, the Nationals acquired closer Sean Doolittle and setup man Ryan Madson from the Oakland A’s, and minutes before the July 31 deadline, they acquired Twins closer Brandon Kintzler. The trio, affectionately called the “Law Firm of Kintzler, Madson, and Doolittle,” transformed the Nationals bullpen. The Nats bullpen in the second half went from 25th in blown saves to first, allowing just three, and went from 30th in ERA to seventh. They ranked first in saves with 26 and were worth the third most fWAR of any bullpen in baseball in the second half. Within a matter of days the bullpen went from a liability to a strength. This year, thanks to the re-signing of Kinztler, the “Law Firm” is staying together. While Madson is going into his age 37 season and Kintzler is 33, the Nationals are also expecting other members of the bullpen to bounce back. If Koda Glover and Shawn Kelley can stay healthy this year, they add two more capable arms to an already stellar bullpen that was one of the best in baseball in the second half last year. Will Bryce Harper have big season as he approaches free agency? The projections seem to think that Bryce Harper is due for a monster year in 2018. After a not-so-great 2016, Harper was having an excellent season in 2017 before his injury. Bryce slashed .319/.413/.595 in 111 games last year and was in the MVP conversation until he slipped on a base in August. While he might never again reach his 2015 MVP season, the projections are optimistic about 2018. Projections on FanGraphs have Harper batting anywhere from .295 to .311, with somewhere between 32 and 38 home runs. 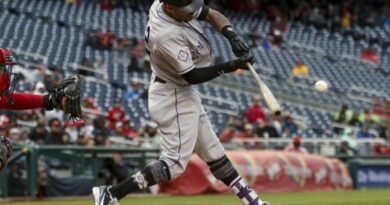 Projections have him at his second highest number of home runs, runs and stolen bases, while some projections estimate he will achieve a career high number of runs batted in by passing the 100 RBI threshold for the first time. Overall, his fWAR projections have him at anywhere between 4.7 wins and 6.5 wins, with anything over 4.8 fWAR accounting for the second most of his career. Analysts expect Harper to have an excellent season in Washington this year, and regardless of whether he stays in D.C. beyond 2018, he is sure to help this team immensely right now. The Nationals should look for a great season for Harper as his free agency creeps closer. Is this the year the Nationals finally break through? No one needs to be reminded how the last four trips to the postseason have ended. Yet with a new analytics-savvy manager and returning most of the same players as last year, the ball club looks to be in great shape. 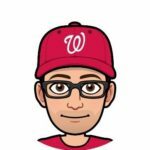 While the postseason might be a crapshoot, the Nationals might be able to take advantage of a weak division and steal the best record in the National League, ensuring that they play the winner of the Wild Card Game and not another division winner in the first round of the playoffs. While Mike Rizzo has built a team that has achieved great regular season success over the last six years, his job might depend on winning when it counts in October. 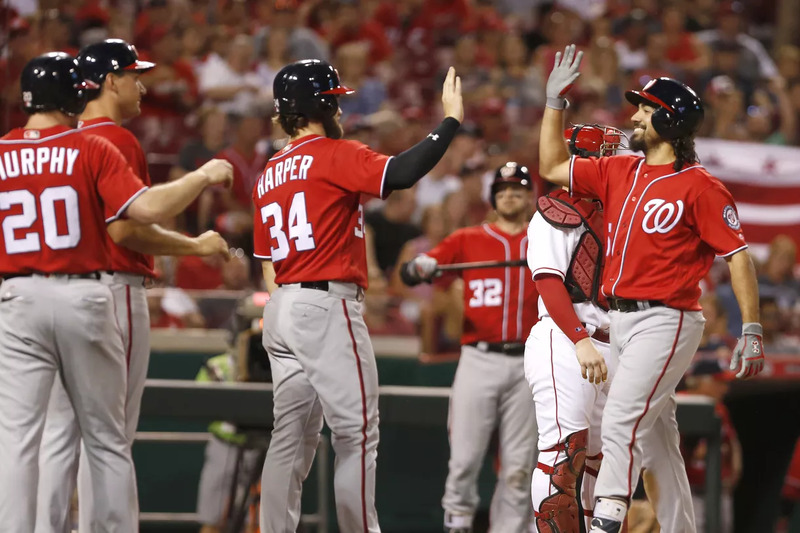 The pressure will be on this year as the Nationals look to snap a string of four consecutive first round postseason exits. With the impending free agency of Haper, Daniel Murphy, Gonzalez, and others, 2018 looks like the Nationals last best chance at winning a World Series with this current core of players. Buckle up, the season is less than a week away.